Woohoo! My interview with Disfunkshion Magazine is out today in bookstores nationwide . . . and . . . for the first time NOW INTERNATIONAL (available in Canada, UK Australia, NZ, Brazil, and Singapore). I’ve heard it’s a six page spread in the coolest magazine on the planet. 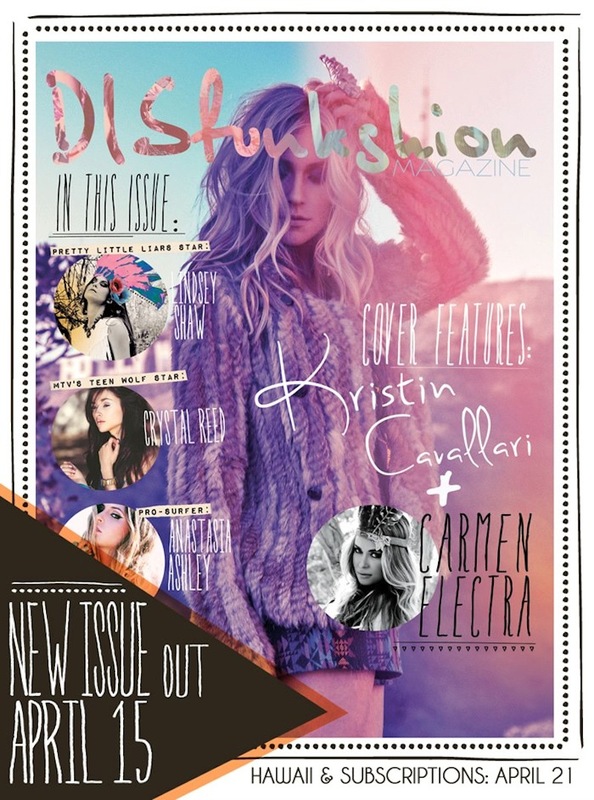 This issue also features articles on Carmen Electra, Anastasia Ashley and Crystal Reed, so it looks to be a good read. I love how this magazine empowers and promotes women. It’s message is always positive and inspiring. I’m off to the bookstore to pick up a copy - hope you do so, as well.